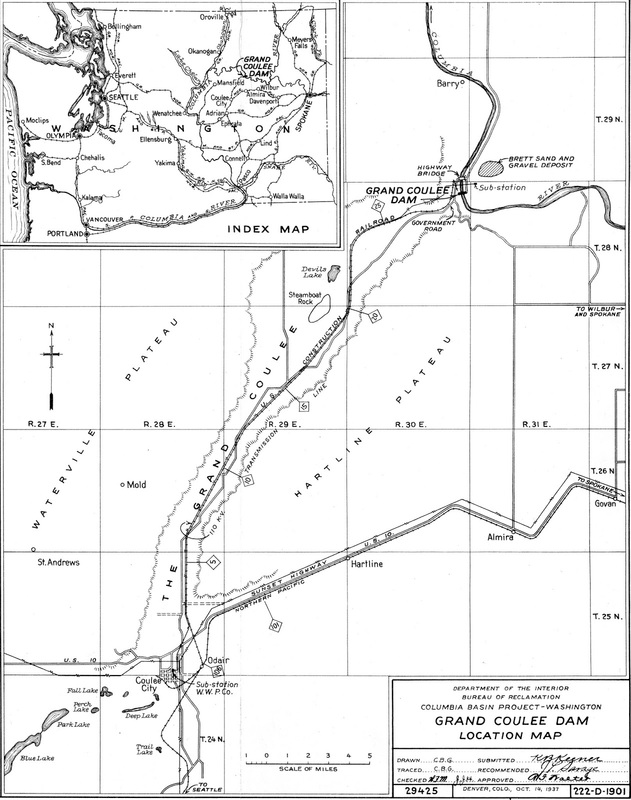 This map, drawn by the Bureau of Reclamation, was part of a set of specifications produced handed out to prospective bidders of the building of Grand Coulee Dam and all the support facilities. It provided those who were not familiar with the location of the dam the exact place it was to be built. The book provides exact measurements for every aspect of building the dam, including where the railroad was to be built. Hopefully the map renders very large without having to click on it.